Anyone involved in conducting research at the UON must ensure their work is carried out responsibly, ethically and with integrity. The Australian Code for the Responsible Conduct of Research ("the Code") outlines key principles to support this. key considerations when dealing with a potential breach. 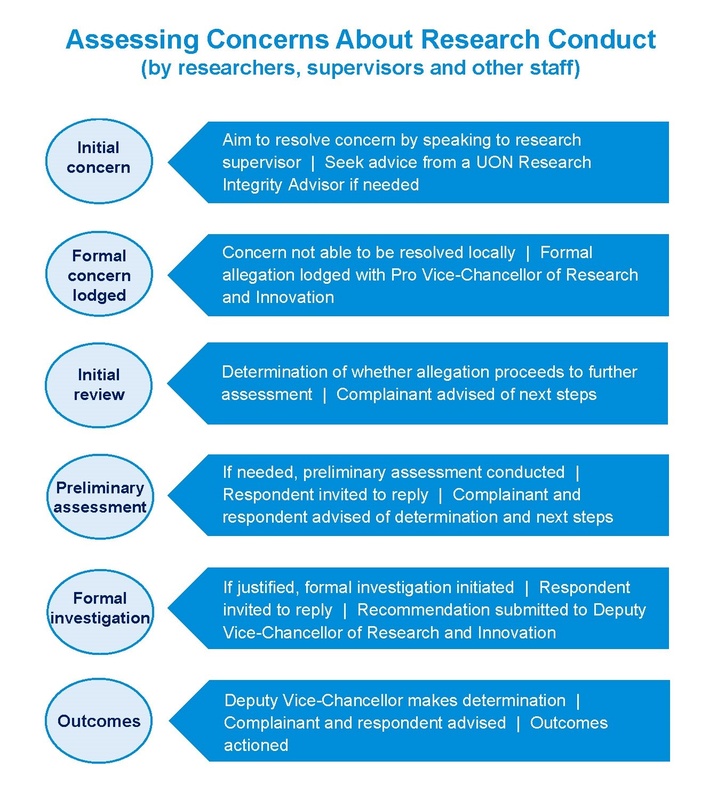 To help research staff and students understand their obligations, UON has developed advice about how to manage concerns about research.